I would like to say thank you for the support you guys put out for us in prison. As much as we don't want to give leverage to these parasites, we have to realize what we're up against. By analyzing current events and the possibility of change to happen, we have to accept failures in order to gain grounds. The path we choose now will determine where we're headed. It can be seen everywhere that the old system ain't working. As much reforms are placed on the table, the crumbs are repacked and tried again. No matter how different it's made, it's the same old ideas. The boiling point has been exceeded and riots are getting more intense. This will happen when the people decide their own fate. A hero is not needed, only the spark which will light the way for others. I emphasize decolonizing ourselves and making the connections between our oppression and imperialism. Being a person of color, I know where I stand. Therefore I do agree on the five pillars of the United Front for Peace in Prisons. I'm an anarchist and belong to a First Nation. The liberty tree branches touch certain ideas we agree upon. By coming familiar with other struggles outside our own lines we can connect the dots that lead to a common enemy. By placing the teachings of resistance in several minds, we can prevent it from being destroyed by placing it in one basket, which will help us prevail into the unknown future. MIM(Prisons) responds: We welcome this comrade into the United Front for Peace in Prisons, especially as an anarchist and a member of a First Nation. We aim to unite all who can be united against imperialism. Sectarianism (prioritizing your group over the entire people) leads to divisions between Maoists and anarchists, which are unnecessary in our fight against our common enemy. We also agree with this comrade's emphasis on educating many people rather than building up single ideological leaders. Building up the political competency of all of society is one of the keys to success of our revolutionary struggle. If we rely on a single leader, or a single party, for guidance, then we will inevitably be led astray when that leader is no longer around, whether by natural death or assassination. Spreading political study to as many people as possible helps protect our struggle and helps people to be masters of their own future. One hundred years since the hystoric Plan de San Diego took place does yet another monumental and hystoric event develop; the publication of [email protected] Power and the Struggle for Aztlán. 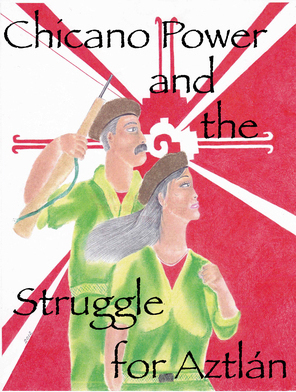 [email protected] Power and the Struggle for Aztlán is a revolutionary nationalist book that focuses on the revolutionary struggle of the [email protected] nation against Amerikan imperialism. This book is in the service of all oppressed Raza within Aztlán and should be studied by those who are interested in liberating the [email protected] nation from U.$. imperialism, especially Raza who are interested in establishing a [email protected] People's Republic in what is currently occupied and oppressed Aztlán, i.e., California, Texas, Nevada, Arizona, New Mexico, Utah and Colorado. [email protected] Power and the Struggle for Aztlán sheds light on the darkness that is national oppression, a darkness that has shrouded and enveloped Aztlán, by directing its luminous rays onto the shining path that has been paved for us by all the great people's struggles the world over. People's struggles in which the heroic Third World masses continue to prove not only their bravery in the face of disastrous imperialism, but the validity and effectiveness of People's War and the revolutionary ideology from which it sprung: Marxism-Leninsm-Maoism, principally Maoism. [email protected] Power and the Struggle for Aztlán enjoins us to vehemently attack national oppression and criticize the proponents of national oppression whoever they may be. This means that as revolutionary nationalists and the advanced detachment of the [email protected] nation it is our duty to be the first to openly criticize our own sell-out political and reformist leaders. It does no good to go about praising oppressors just because they have a Spanish surname, speak Spanish, or are Raza by birth, as doing so only confuses the issue for the rest of the [email protected] masses who look to us for theoretical and ideological guidance. As revolutionaries we must constantly blaze the trail in matters of political outlook and awareness and must never give in to complacency which inevitably brings about political degeneration. We must put an end to [email protected] nationalists masquerading as Maoists who in the name of Aztlán would raise the red flag only to oppose it. Communists from the [email protected] nation should therefore take a hard and uncompromising stand against these national chauvinists who with their sophistry would only set back the [email protected] movement for liberation and independence. That said, real Maoists believe in uniting all who can be united in the struggle to free the nation. This is in accordance with United Front theory and practice as developed by Joseph Stalin, leader of the USSR during the Soviet people's struggle against German fascism, and Mao Zedong in the Chinese people's war of liberation against Japanese militarism and imperialism. As such and in making this statement it is recognized that there is a contradiction between uniting all who can be united and struggling not only against erroneous tendencies within the [email protected] movement and nation, but outright deviations and revisionism within the [email protected] communist movement as well. Maoists from the [email protected] nation should seek to resolve these differences and contradictions now, starting with the more advanced elements of the [email protected] masses, through the method of unity-struggle-unity. We should not wait for the national liberation stage to be completed before taking up this ideological struggle. This should not preclude our breaking with other [email protected] organizations on the basis of principled stands of scientific dispute as "the struggle bursts forth continuously." We should recognize that in such instances what we must do is not unite two into one, but struggle to divide in order to liberate Aztlán and make revolution. We should also recognize that before the movement can really take shape through the power and strength of the [email protected] masses there must first be a consensus among all the revolutionary elements of Aztlán so as to consolidate the [email protected] national liberation movement; whether that be within a loose united front of various [email protected] and [email protected] organizations, or under one united flag with a single program, cannot possibly be determined at this time. What should be acknowledged however is that the revolutionary forces within Aztlán must begin the process of consolidation so as to continue to move the struggle forward. The principal way of doing this at this current stage of the struggle undoubtedly revolves around Under Lock & Key, the voice of the anti-imperialist movement behind prison walls. It is thus the revolutionary duty of Maoists and other anti-imperialists from the [email protected] nation to unite in order to begin the long and arduous process of liberation and decolonization de toda la gente. The [email protected] revolutionary nationalist movement should be in firm unity with all genuine Maoist forces the world over as well as all revolutionary forces fighting imperialist backed regimes and lackeys. Clenched fist salute! A clenched fist salute is also extended to all Raza and camaradas currently locked in Amerikkka's prisons who have taken the qualitative leap towards gaining freedom and liberation for our people by engaging and struggling with Maoism; the third and highest stage of revolutionary science. Comrades should also seriously study the ten point program of MIM(Prisons) as well as the six cardinal points of the Maoist Internationalist Ministry of Prisons before attempting to create their own Maoist organizations as they can help to demarcate between real Maoism and phoney communist organizations. These programs should serve as a general guide to the type of organizing and organization we should aspire to. Revolutionary cells claiming both the mantle of Mao and Aztlán should be open to all [email protected] and should not be contingent on past street or prison organization, but on the deep seated belief that Aztlán is a territory of the [email protected] nation which must be liberated! On that same note [email protected] Maoist organizations should have very strict admission policies as revolution is not a game or a lifestyle, but a matter of life and death and so only the most committed revolutionaries should be recruited. Comrades should also seriously study the Leninist concept of "better, fewer, but better" for this stage of the struggle. 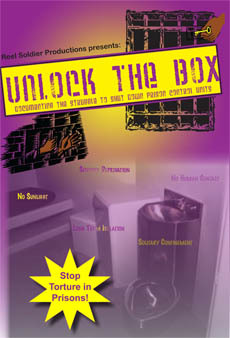 Lastly, comrades should enjoin the oppressed prison masses, in particular imprisoned Raza, to take up struggle and begin working with other lumpen organizations amiable towards revolution in the spirit and practice of the United Front for Peace in Prisons, as this is not only the most effective way of establishing peace in prison but of sustaining it. Peace amongst the lumpen is not only a precursor, but a prerequisite to victory on a strategic level. The [email protected] and other prison masses must realize that Amerikan imperialism grows increasingly weaker every day, both on a domestic and international level because of its extended, hegemonic over-reach. Instead of gaining the imperialists a greater grasp on the far off and distant periphery this presence is instead met with fierce resistance and hate on the part of the resolute Third World masses. The masses must know that Amerikan imperialism is a paper tiger and on a strategic and long-term level its' show of strength amounts to nothing more than shadow boxing strictly for the benefit of those it would wish to subjugate and oppress; it is a concrete monster with feet of clay and wherever it chooses to plant its feet it gets attacked. O, the beauty of freedom!